Panoramic Breathtaking Gorgeous Views from this "Stunning Property" situated in a Premier Location in the Heart of Mission Viejo. Enjoy Mesmerizing Sunsets from this Magnificent Home! This is the Home You Have Been Waiting For!!! This Light, Bright and Immaculate Home has been Completely Remodeled with Stunning Hardwood/Tile Flooring, Lovely French Doors, New Crown Molding, Baseboards, Windows, Two Gorgeous Balconies and a Beautifully Remodeled Staircase and Painted Throughout! Stunning French Doors for Your Indoor/Outdoor Entertaining Enjoyment. You will Love the Gourmet Kitchen as it is Light and Bright and it is accented with Lovely Granite Countertops and Upgraded Stainless Appliances with Gorgeous Views of the Spectacular Backyard and City Lights and Hills! The Gourmet Kitchen opens to a Spacious Family Room with a Beautifully Remodeled Fireplace and All Overlooking the Spectacular Views of the City Lights and Hills Through the Coveted Glass Fencing! The Stunning Master Suite features a Romantic Balcony and Retreat with a Cozy Remodeled Fireplace which Opens to a Luxurious Master Bath. Spectacular Large "Entertainer's Dream Backyard" with a Gorgeous Pool, Spa and Large Grassy Area and Beautifully Landscaped with Lush Trees and Gorgeous Hardscape! 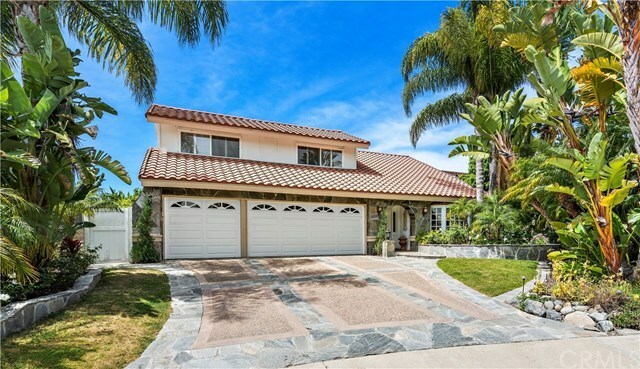 Close to Award Winning Schools, Resorts, Beaches, Shopping, Dining and features the Mission Viejo Lake Privileges, too.